A non-mandrel method of bending in which the compression of the intrados is controlled by stretching it over a “crush knob” seated in the cavity of the bend die. 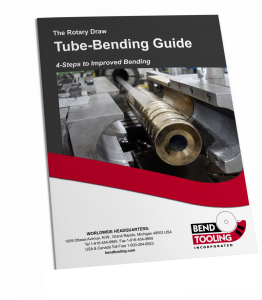 This eliminates the wrinkling or buckling that might occur if the tube were bend without a mandrel. Commonly used on non-round tube bends.